"Are you crazy?" yelled the customer, "with your hand on my steak?" 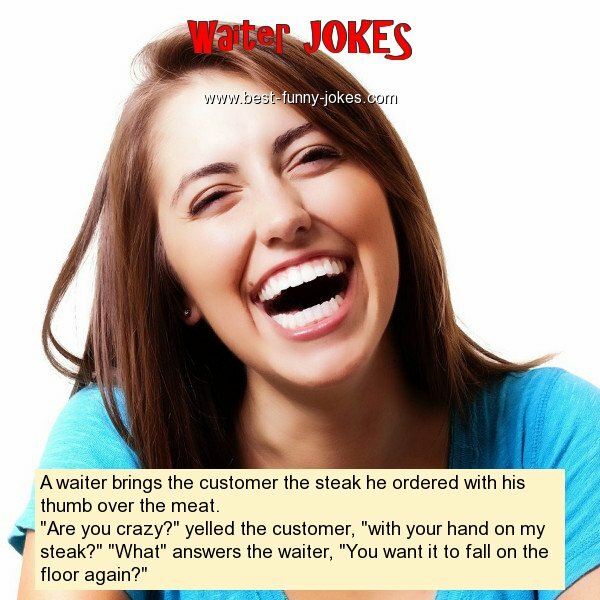 "What" answers the waiter, "You want it to fall on the floor again?"